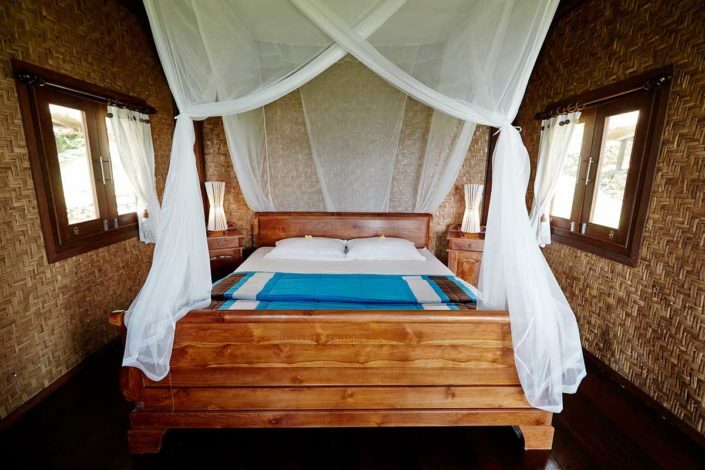 Kamafari offers different rooms for every budget. 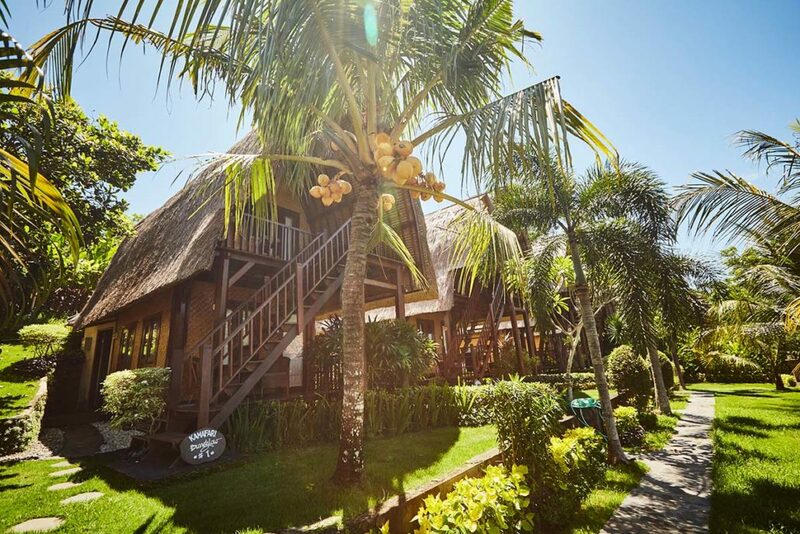 All rooms including a daily breakfast and 6x dinner per week. 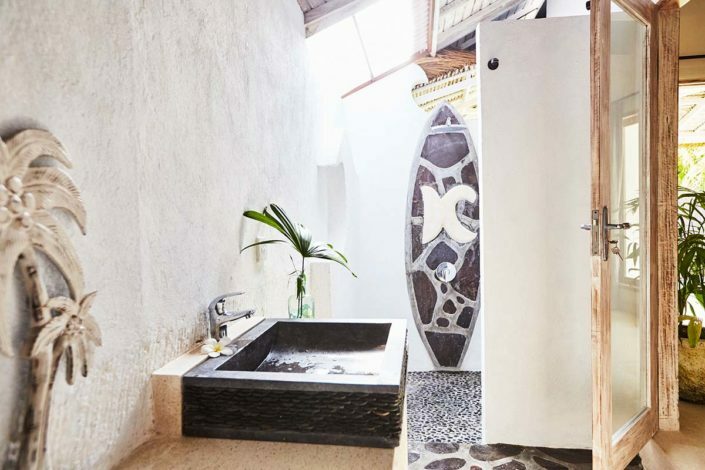 Towels are provided at the Surfcamp. 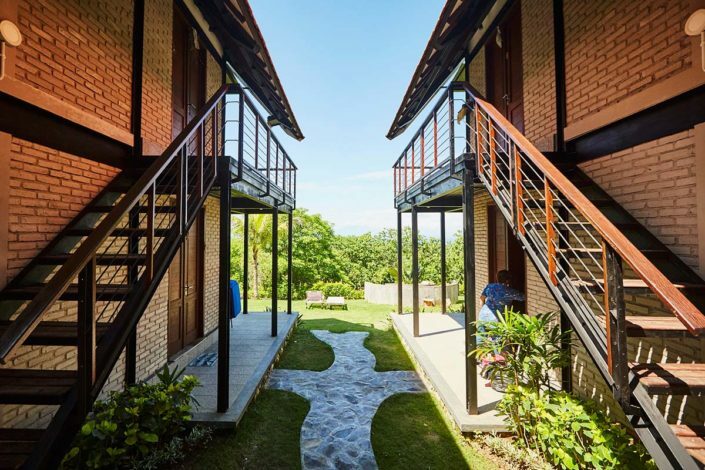 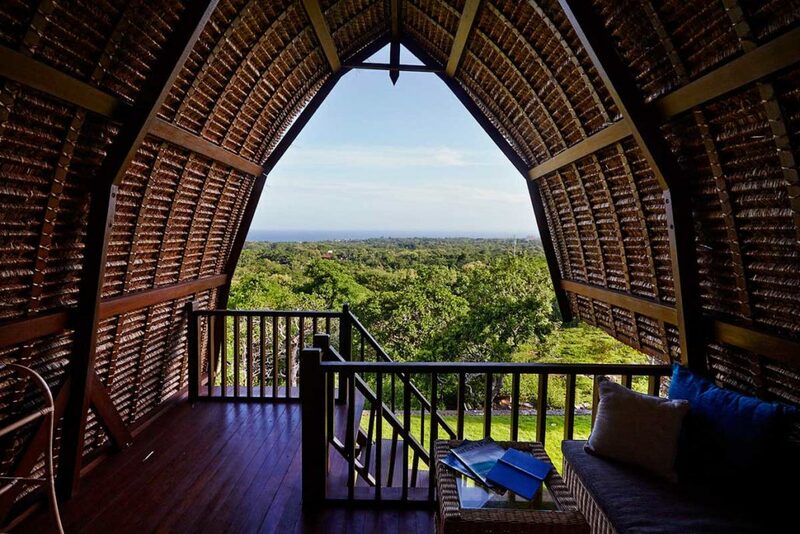 The Shared Dorm rooms are located in the wooden bungalows upstairs and equiped with 2 single beds, ventilator, a terrace with seaview and mosquito net. 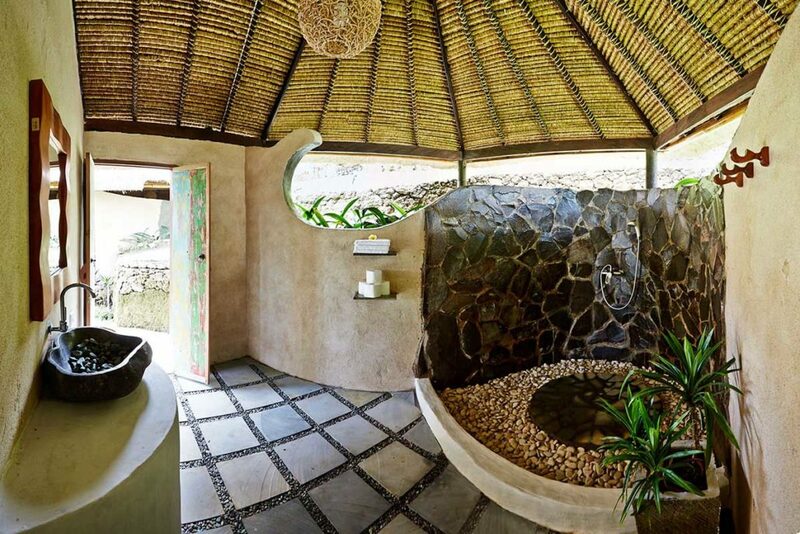 All of our 4 wooden bungalows have a bathroom with hot water shower. *Depending on availability, we try to upgrade all single travelers to a single room. 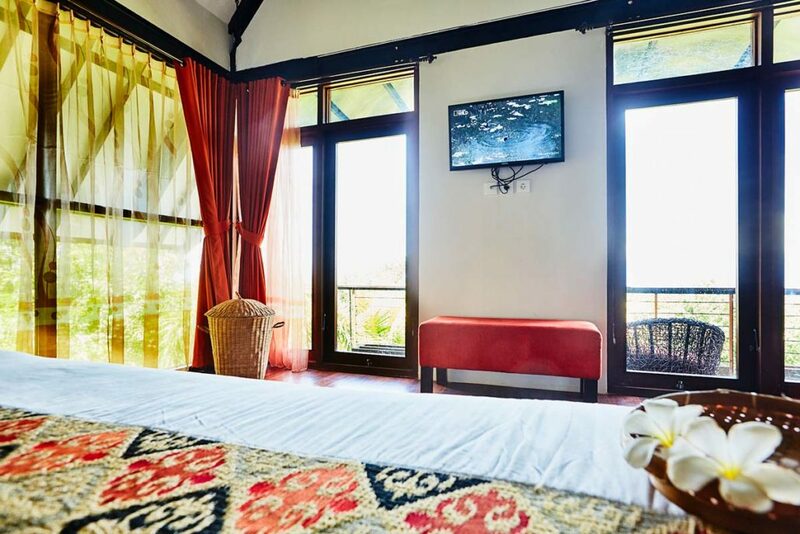 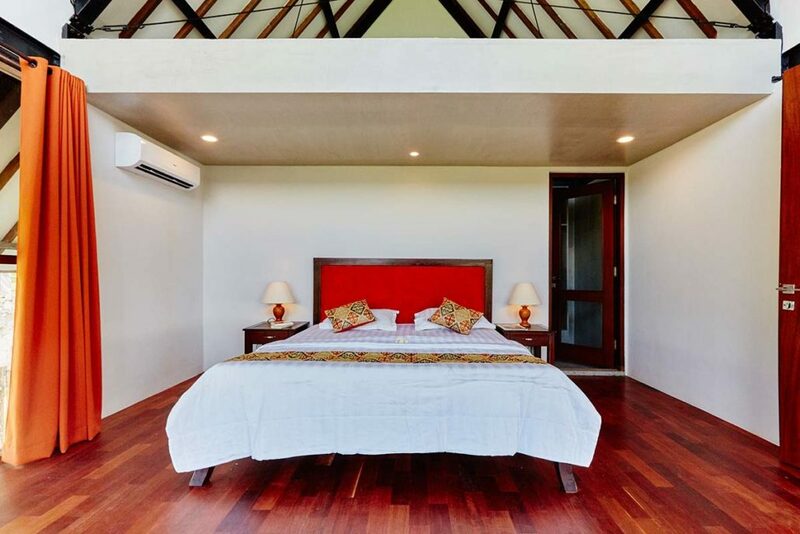 The Classic Double rooms are located in the wooden bungalows downstairs and equiped with a king size bed, ventilator, a terrace with seaview and mosquito net. 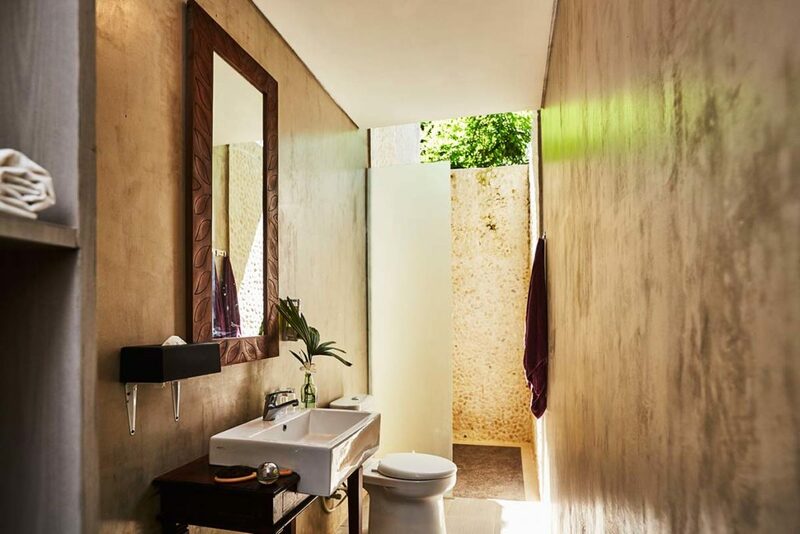 All of our 4 wooden bungalows have a bathroom with hot water shower. 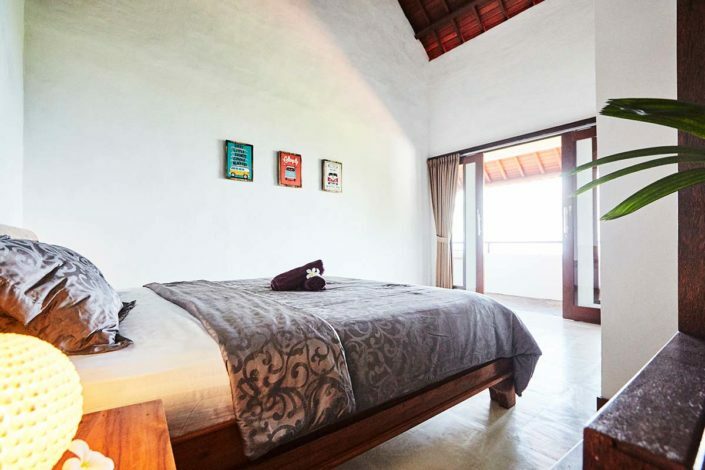 The two Oceanview rooms are located in the main house upstairs. 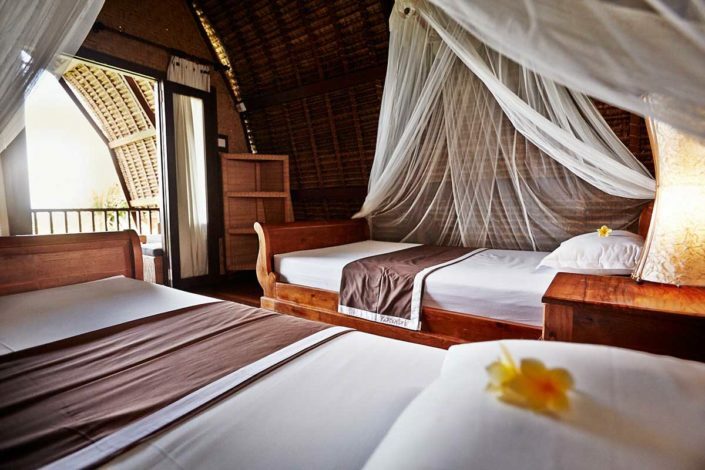 The rooms are equiped with a king size bed, air conditioner and a living area with seaview. 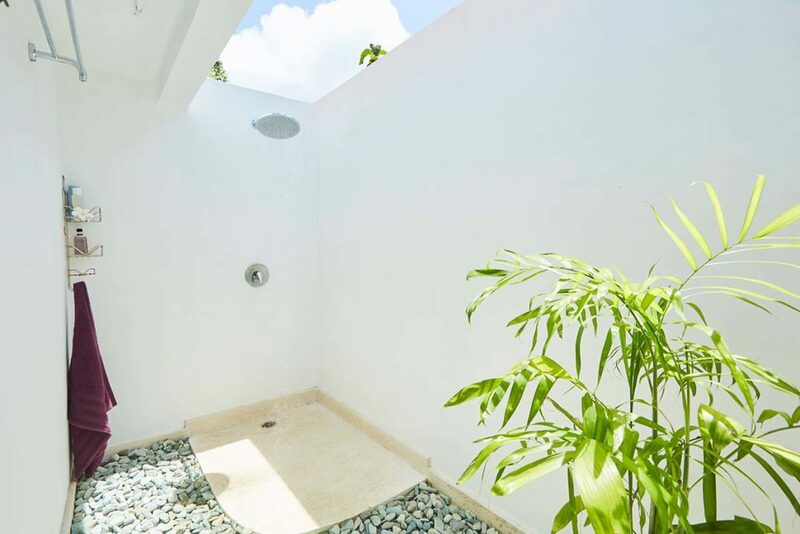 Both rooms sharing a bathroom with hot water shower. 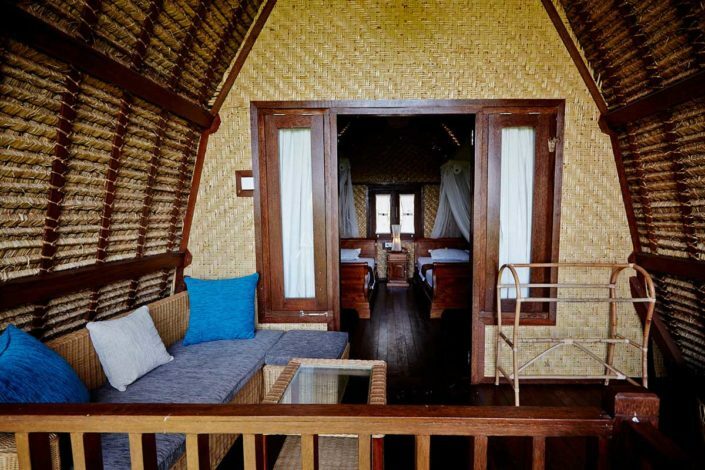 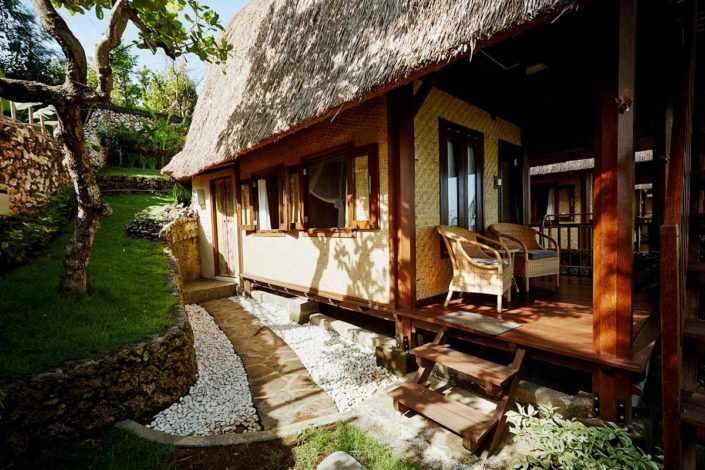 The rooms of our 2 Deluxe Bungalows are equiped with a king size bed, TV, air conditioner and a private bathroom with hot water shower. 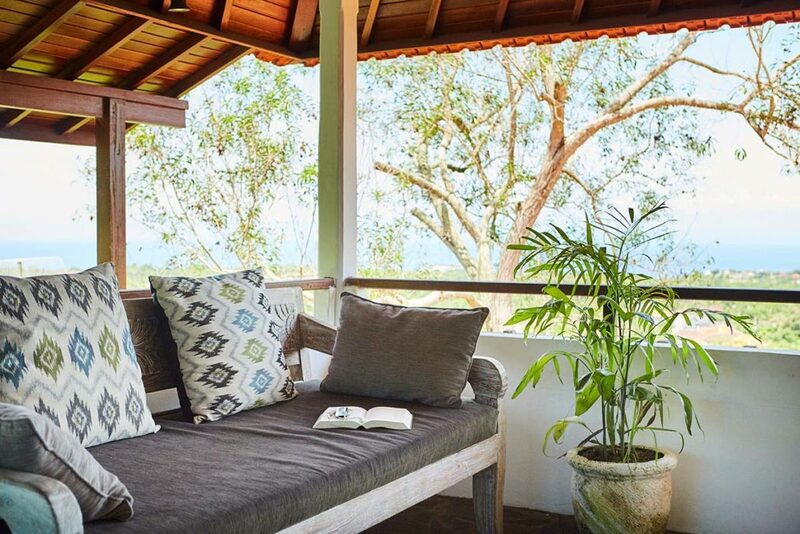 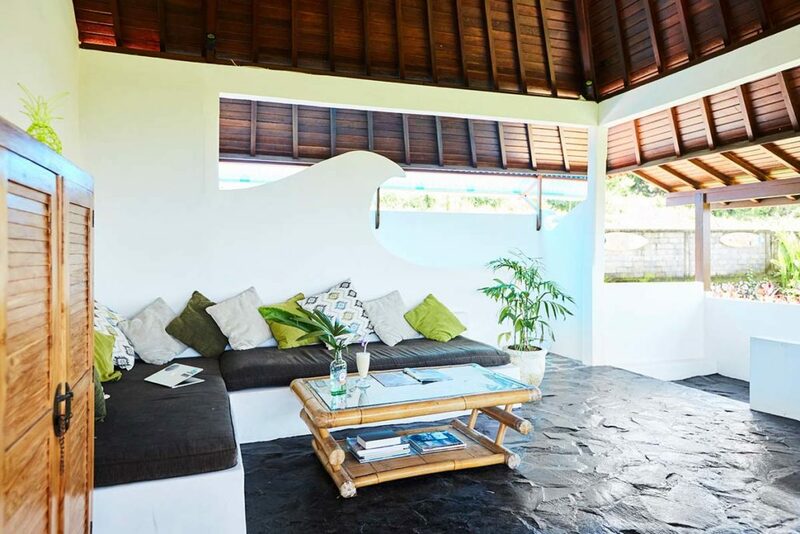 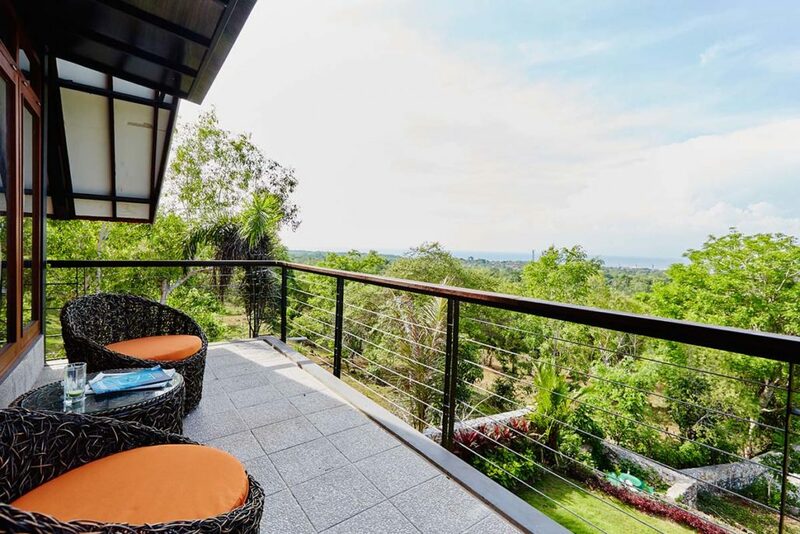 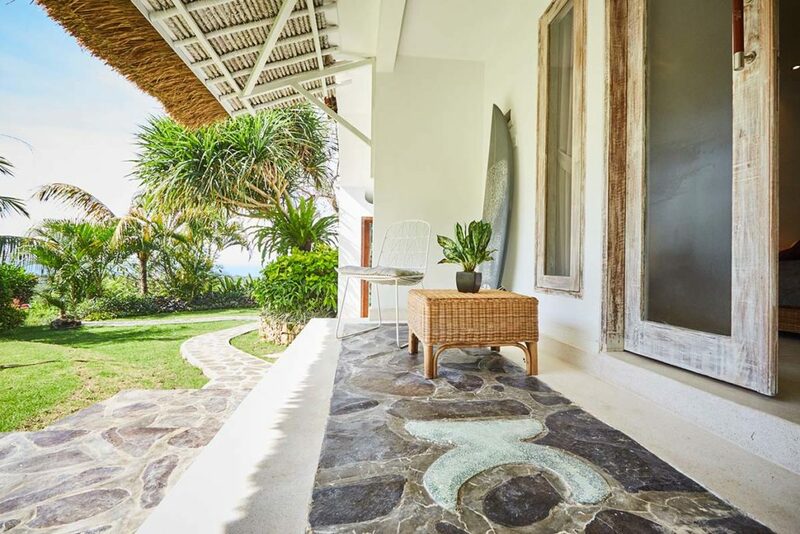 All rooms have a terrace with seaview and a small garden area. 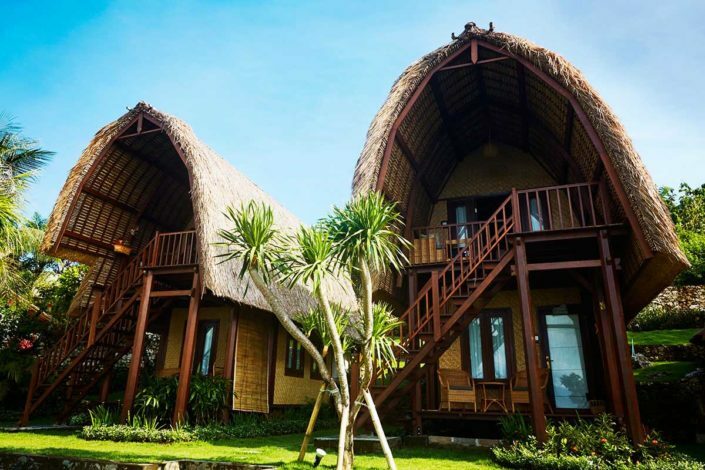 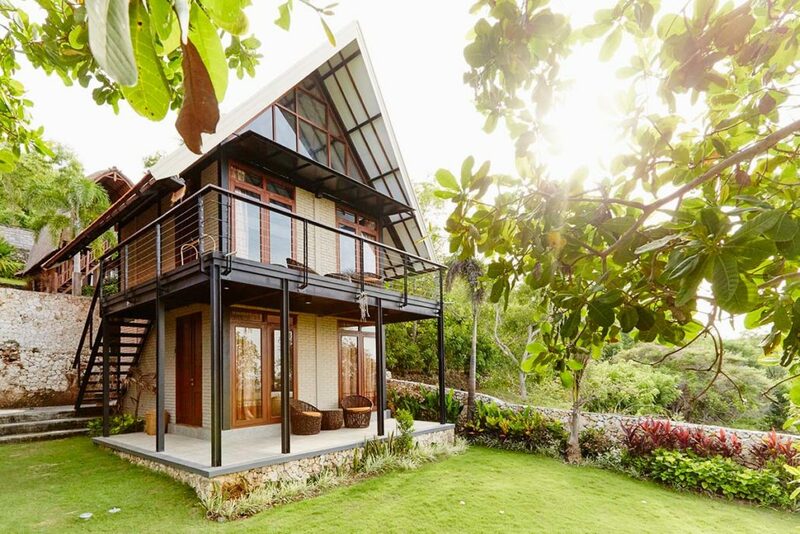 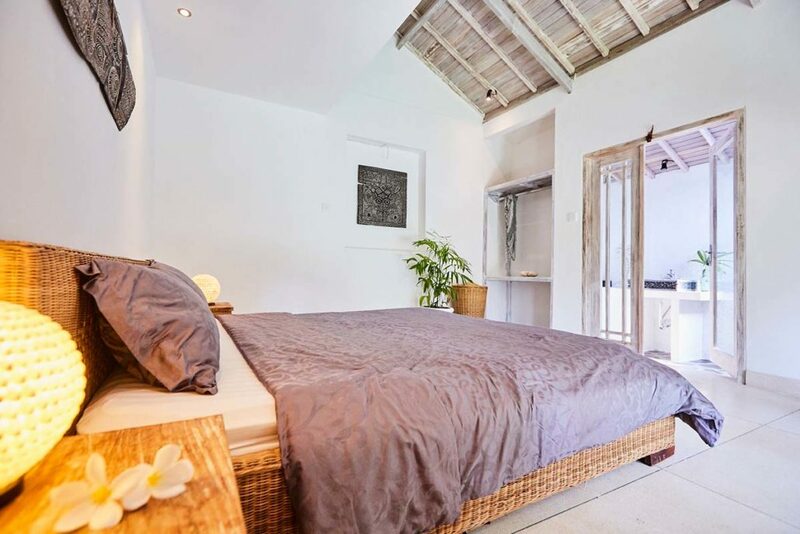 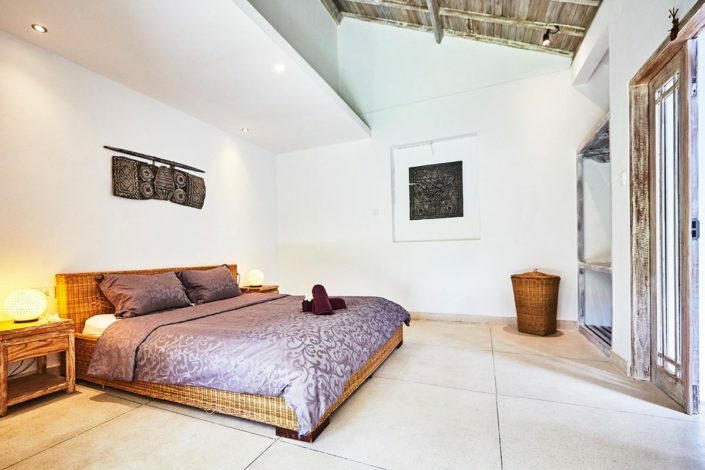 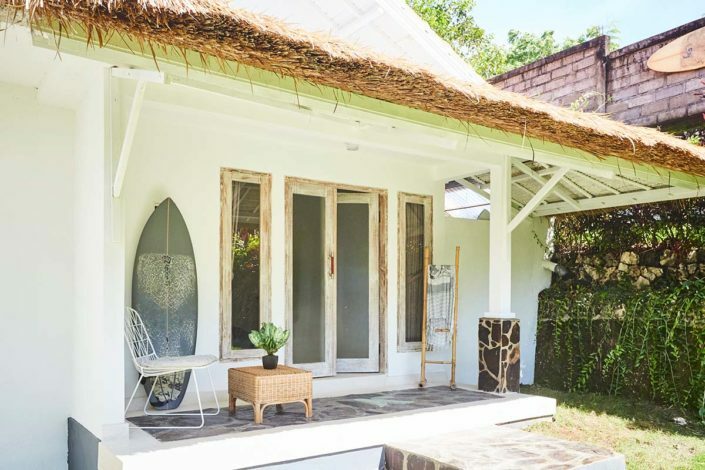 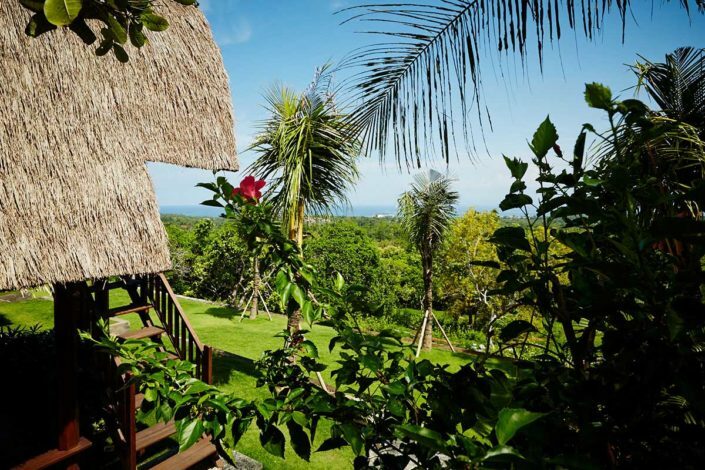 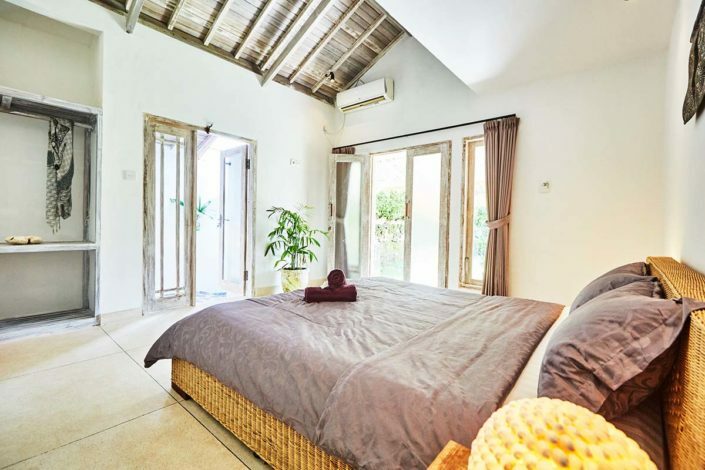 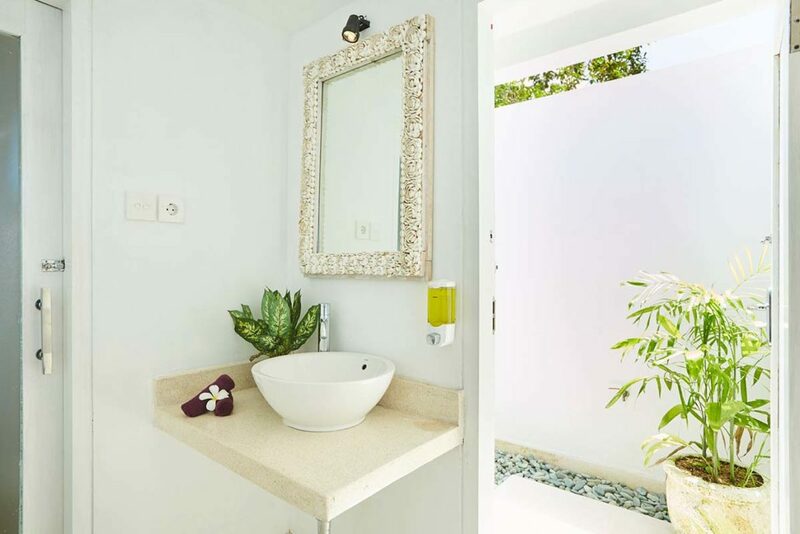 The 2 Bali Deluxe rooms are located in the back of the mainhouse. 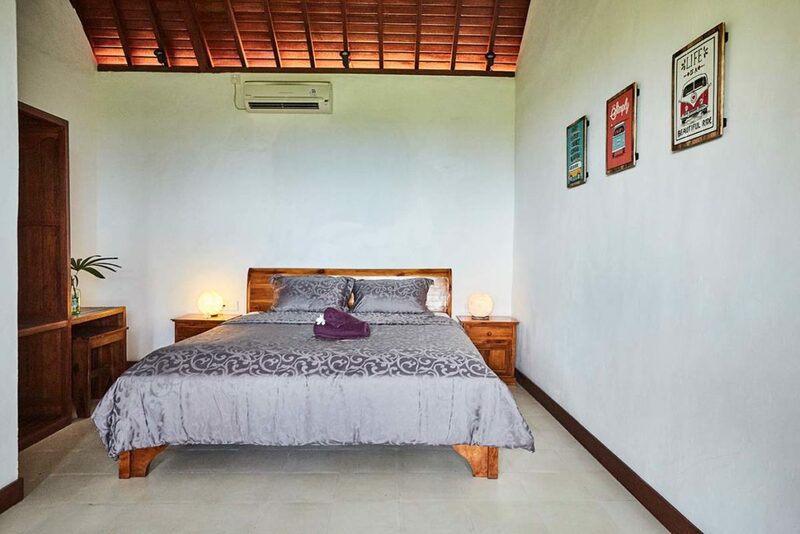 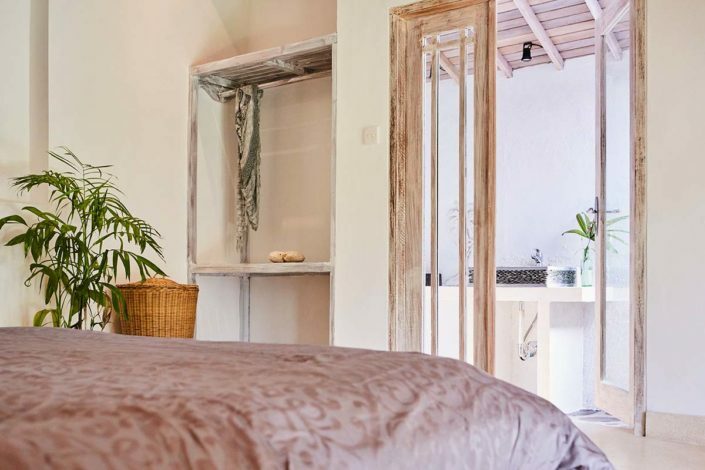 Both rooms are equiped with a king size bed, air conditioner, a terrace and private bathroom with hot water shower.